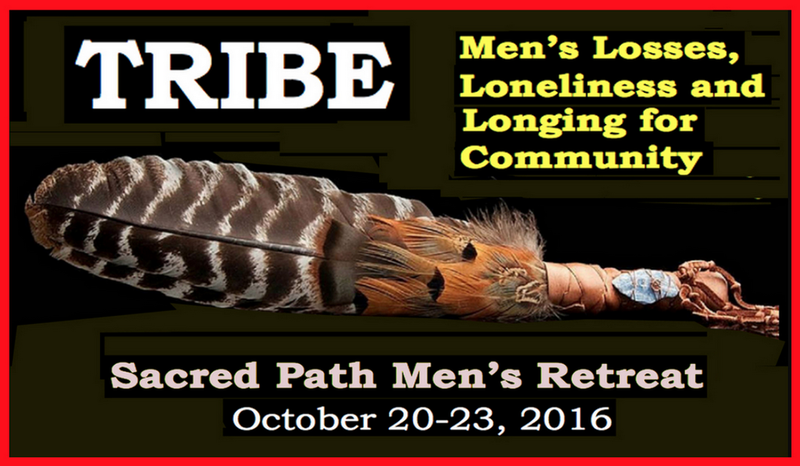 30th Annual Sacred Path Men's Retreat -- Come Join Us! We’re less than three weeks from our celebration of 30 years of men’s work through MCLA/Sacred Path. The program, including those who are presenting, is detailed in this newsletter. I’d rather you invest the time to review the contents within that describe the remarkable men who will share their contribution to what will surely be an unforgettable experience on the hill. As an example, Ray Bunch, an Elder who co-facilitated (along with Timothy “Whispering Eagle” Aguilar) the retreats with me years ago, will return for this one and will facilitate a very powerful breakout session on Visioning and on your Lifeline. As you will see, we have put together an array of elements that will provide opportunities that should meet the needs of each participant. At this point we have 30 official registrations and I anticipate that we will add probably another 10 to 15 enrollments prior to commencing our retreat on Thursday, October 20th. So, including staff, we should comprise a village of about 60 men spanning the teenage years upwards and into their 90’s. What a rich opportunity to be in the company of men of all ages who are on the Sacred Path to mindful manhood. We have some very cool surprises in store for us as well. If you’ve already registered, please give consideration to who you know that could benefit from this event. Sharing your experience with a family member or close friend can add dimensionally to the outcome for each of you. If you haven’t signed up yet, please do so now. The retreat commences as soon as you make the commitment to be on board. Would you ever have considered that you’d have an opportunity to be around a pack of real live wolves? Here’s your chance. Join the Tribe and help to create our village. Older PostCREATIVE VISUALIZATION: Where Are You Now? Where Do You Want To Go?